Just like humans have fingerprints, cats have nose prints. The nose pad of each cat is unique. Purring is not always a sign of contentment; cats also purr when they experience pain and discomfort. Compare cat age and human age. A six-month-old cat compares to a ten-year-old human. Sixteen years in cat age is equivalent to 80 years in human life. 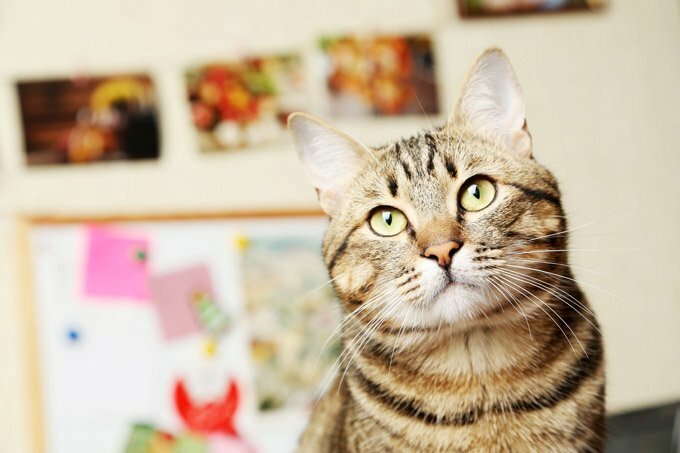 America adores cats: Americans spend more on cat food than they do on baby food. Cats are amazingly successful hunters. One in three pounces of a domestic cat result in a catch. Cats cannot taste sweet foodstuffs and chocolate is poisonous to cats. A neutered cat lives two-three years longer than unaltered cats. White cats with blue eyes are almost invariably deaf. Cats have personality, and the way you bring up your kitten will determine its personality for the rest of its life. Cats are capable of a hundred different sounds. The dog’s vocal capacity is limited to only ten. Cats are amazing jumpers; they can jump up to seven times their height.